Health insurance: we’re interested in your experiences! The Organisation of the Swiss Abroad (OSA) would like to know about difficulties you have encountered in the area of health insurance and the practical problems that you face as a Swiss person living abroad. This may be of specific relevance to those living temporarily in the Oceania region or those in need for travel insurance when visiting Switzerland. By the same token, if you have had positive experiences or wish to share good practices, please do so! 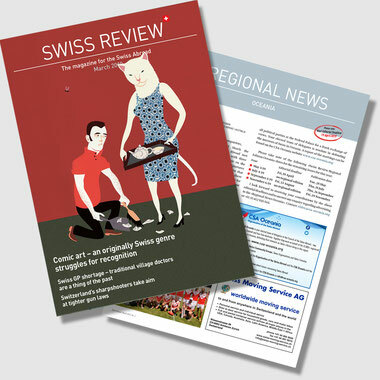 The purpose is to look at ways of improving the situation of Swiss people living abroad in this regard. Are you on Facebook? Like and follow us to stay up to date with the information we would like to share with you. Alternatively subscribe to our Newsletter. We are Swiss Abroad! Powered by swissinfo.ch - share your instagram photos and videos using the hashtag #weareswissabroad. Or subscribe to swissinfo.ch's instagram account. 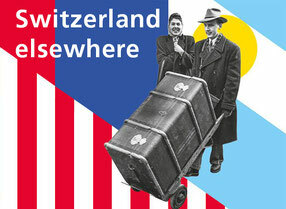 From 13 April to 29 September 2019, the Swiss Abroad will be featured in the Swiss History Forum in Schwyz as part of the exhibition ‘Switzerland elsewhere’. 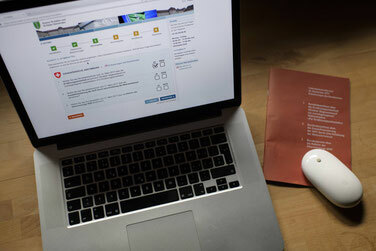 Canton Geneva has announced it can no longer afford to bear the cost of an e-voting system and plans to abandon the project, according to Swiss public radio, RTS. This leaves only one other e-voting project still standing in Switzerland run by Swiss Post. 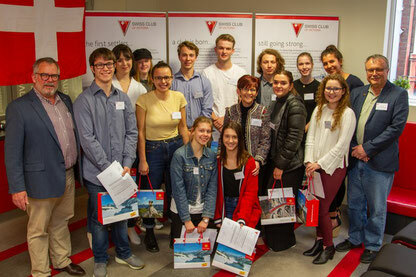 Saturday, 15 September saw the ‘Young Swiss Citizen Celebration’ being held for the third time in Victoria. 15 young Swiss who recently celebrated their 18th birthday, and therefore have become fully-fletched Swiss citizens with all the rights and obligations that this entails, followed the invitation by the Hon. Consul, Manuela Erb, to a luncheon at the Swiss Club of Victoria. They were accompanied by their mums and dads, grandparents and brothers and sisters. The Valais city of Visp hosted the 2018 Congress of the Swiss Abroad and assembly of the Council of the Swiss Abroad from August 10- 12. The social program included an excursion to the Ryffelberg-Gornergrat on the final day. 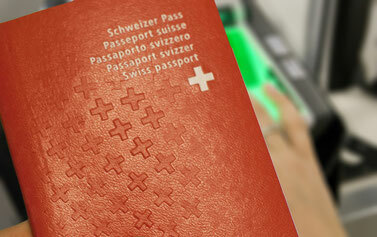 Sign the petition: Electronic Voting for all Swiss Abroad! 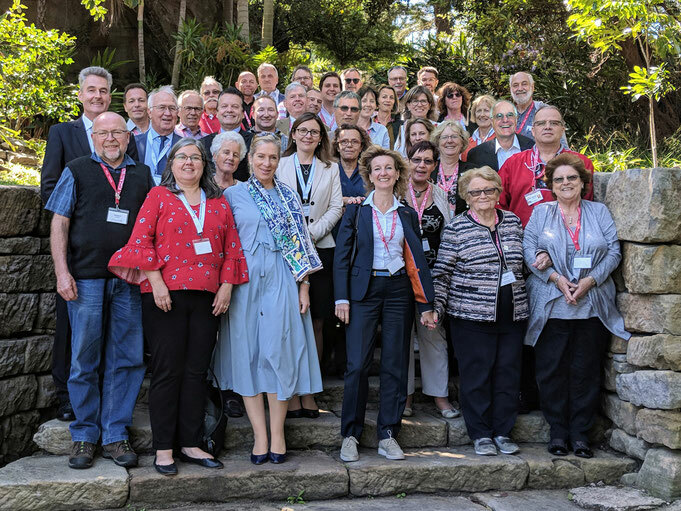 Members of the Council of the Swiss Abroad meeting in the town of Visp on Friday, 10 August approved plans to launch an online petition calling for the introduction of e-voting over the next three years. Oceania was represented at the meeting by Katja Wallimann Gates and Beat Knoblauch (pictured), Peter Ehrler and Peter Canziani. OSA PRESS RELEASE: Bern, 28 June 2018 – The Organisation of the Swiss Abroad (OSA) welcomes the Federal Council’s decision to commission the Federal Chancellery with the preparation of a project that makes e-voting a regular voting option. This decision represents a significant step forward in the introduction of e-voting and recognises it as a safe and reliable option. For Swiss Abroad, this e-voting is often the only way to exercise their political rights. 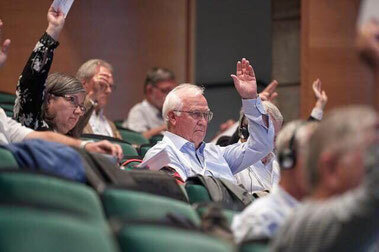 OSA PRESS RELEASE: Bern, 13 June 2018 – The Organisation of the Swiss Abroad (OSA) representing the interests of 751,800 compatriots living abroad, is disappointed that the Council of States today rejected Motion 17.3626 by 30 votes to 9 with 4 abstentions. The Council of States has decided not to follow the majority of its Foreign Policy Commission (APK-S) and has rejected a motion calling on PostFinance to accept Swiss Abroad on similar terms as citizens residing in Switzerland. The problem that has existed for our compatriots living abroad for ten years remains unresolved. OSA PRESS RELEASE: Bern, 30 May 2018 – The Organisation of the Swiss Abroad (OSA) is relieved that the Council of States has today decided to follow the recommendation of its Commission on Social Security and Health (SGK-S) to delete the amendment to Article 4 (1) in the context of the supplementary benefits reform. This means that the current rules remain in place. Last March, the National Council approved an application whereby Swiss Abroad would have had to pay social security contributions (AHV) for at least ten years in order to qualify for supplementary benefits, which would have discriminated against Swiss Abroad. On 10 March 2018, at he CSA meeting in Bern, the executive of the OSA announced that it had entered into a partnership with the Geneva Cantonal Bank (BCGE). More information is available under the topic Swiss Banks.